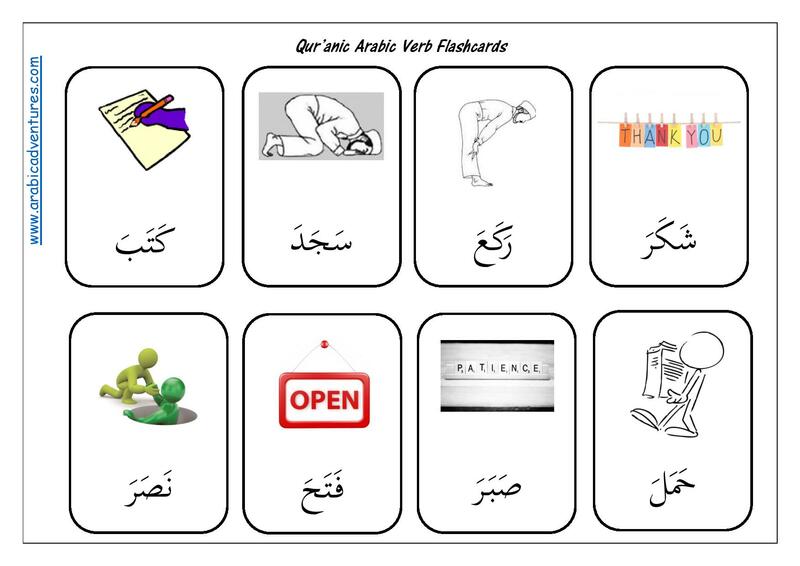 I’ve created these flashcards of verbs in the Qur’an for use with my classes. 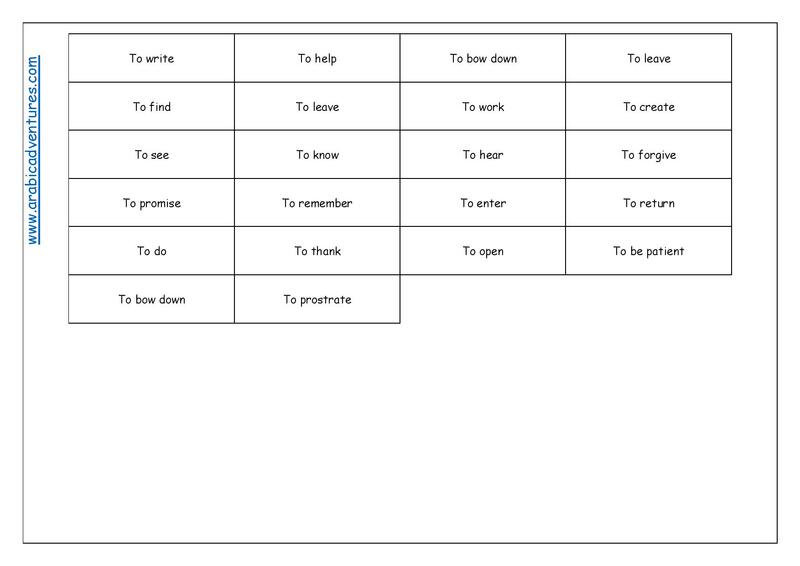 I will cut out the meaning and stick to the back of the verbs and then laminate the verb sheets. That way the students will be able to play a game with their partner to help them memorize them. I have chosen interesting looking pictures so that it will be easier for the visual learners to remember iA. Hope this helps you and your arabic students iA. 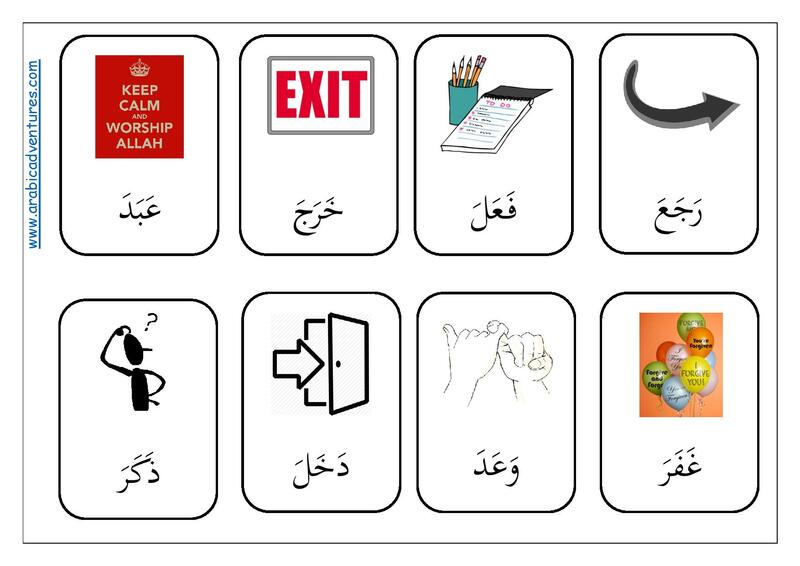 This entry was posted in Arabic Grammar, Arabic worksheets, Games, General and tagged activity, arabic, arabic flashcards, arabic game, arabic games, arabic grammar, arabic grammar review, Arabic Language, Arabic lessons, arabic past tense, arabic printables, arabic worksheet, Qur'anic arabic verbs, verbs in the qur'an. Bookmark the permalink.